Above - An early sketch of the Albert Music Hall, Hull - Courtesy Paul Gibson. Plans in the Hull City Archives confirm that the Albert Hall was a somewhat speculative venture, built in April 1873 by local merchant William Fussey. The first plans show a simple warehouse on two levels with no use attributed to either floor. A decision was soon made for the use of the new building however, as a year later plans were drawn-up for two tiny dressing rooms with a kitchen below that were attached to the north-west wall of the building. 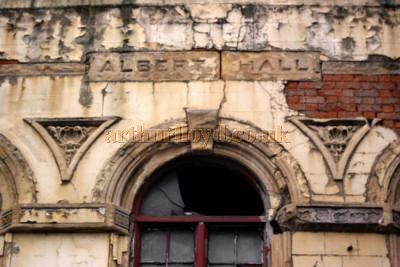 Right - The name Albert Hall can still be seen on the building today - Image Courtesy Paul Gibson. These plans refer to the building as the Albert Hall Inn and were dated and approved in April 1874. The dressing rooms suggest Mr Fusseys immediate incursion into the entertainment business, which was already a family interest, and the use of music hall acts. His move was well-timed as he would no doubt be hoping to gain passing foot-trade from the users of the railway station, who may otherwise have headed for the Alhambra Music Hall in Porter Street just a quarter of a mile further on. The Alhambra had opened in 1864 and may well have offered a slightly more up-market list of events. The Albert Hall  This elegant and commodious building, which will be fitted with a portable Proscenium, Stage, and Scenery, now erecting in Midland Street, will shortly be ready to Let for Entertainments of a first-class character; also for Dinners, Teas, Suppers, Bazaars, Balls, Public Meetings, Lectures, Presentations, or any other respectable purpose for which the Hall, with its rooms, is adapted. For Terms, apply to the proprietor, WM. FUSSEY, Glass and China Rooms, 23 Ocean Place. Dinners, Teas, Suppers &c., provided in the hall, or under marquess (sic). - The Hull & North Lincolnshire Times of 23 May 1874. ENTERTAINMENT AT THE ALBERT HALL. The new hall, erected by Mr.W. Fussey in Midland-street, from designs by Mr. W. Thompson, Anlaby-road, was opened for public performances on Thursday evening. It is a commodious, comfortable room, capable of seating nearly 800 persons, and it is prettily decorated and fitted up. In connection with the hall there is every accommodation for the provision of teas, dinners, &c. At present the means of ingress and egress are insufficient, but we understand that another entrance will be made which will remove this objection. The entertainment on Thursday night was under the management of Messrs. Strange and Wilson, who introduced some of Professor Pepper's marvelous optical inventions. These were exhibited during the recital of adaptations of Schiller's poem the Storm of Thoughts, and Dickens's story The Haunted Man. - Hull News, May 1874. The success or otherwise of the Albert Hall in Hull as a music venue is unclear but in 1890 historian Edmund Wrigglesworth noted it was occasionally used as a place of entertainment in his Guide to Hull. Certainly it was rarely if ever described as a music hall per-se, and was noted mostly as the Albert Hall Inn, simply as a public house. Evidence of its theatrical use does exist in the form of a promotional leaflet, which notes the hall as the Royal Albert Hall and gives details of a performance of an Irish Drama The Colleen Dawn [Bawn] performed in October 1886 by the Hull Thespian Society. 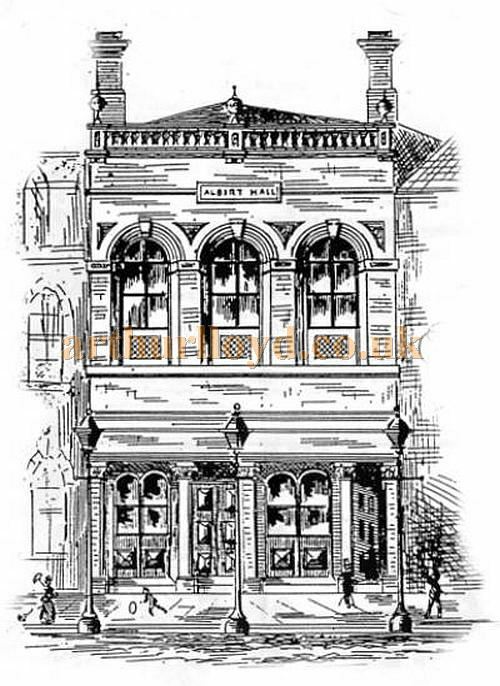 In 1892 the Albert Hall was acquired by Worthingtons who bought the estate of the Exchange Brewery in Porter Street. It seems that this was the last point at which the first floor hall was used as a performing stage; plans from 1907 show it had been converted to a five table billiards room some time prior to that date. 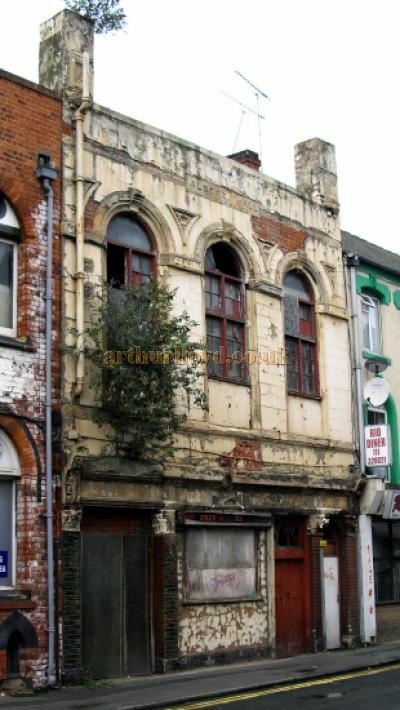 Left - The former Albert Music Hall, Hull - Courtesy Paul Gibson. The Albert Hall closed as a pub in 1965. From the late 1960s it was developed as a Bingo Hall and was known as the Fair & Square Club in the 1970s. 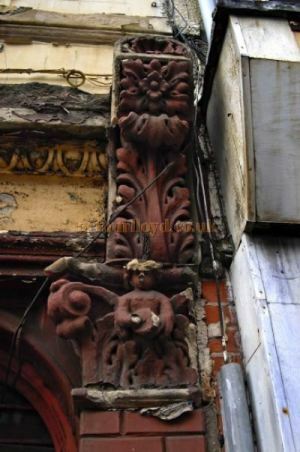 Right - Part of the former Albert Hall, Hull - Courtesy Paul Gibson. The above article on the Albert Hall, Hull was adapted for this site by Robert Kenny in April 2014, with the kind permission of Paul Gibson. 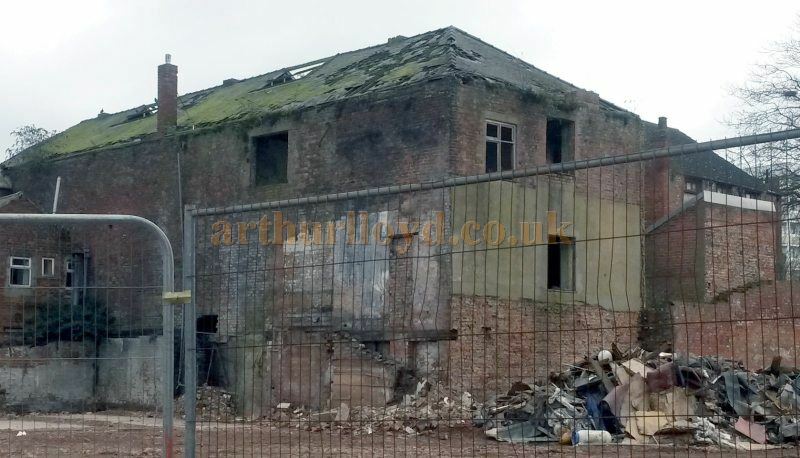 Unfortunately, after failed attempts at negotiation with the local Council, on Monday the 1st of June 2015 work was finally begun on demolishing the frontage of the building as it was deemed unsafe (see images below), it was expected that this would be completed by Friday the same week. 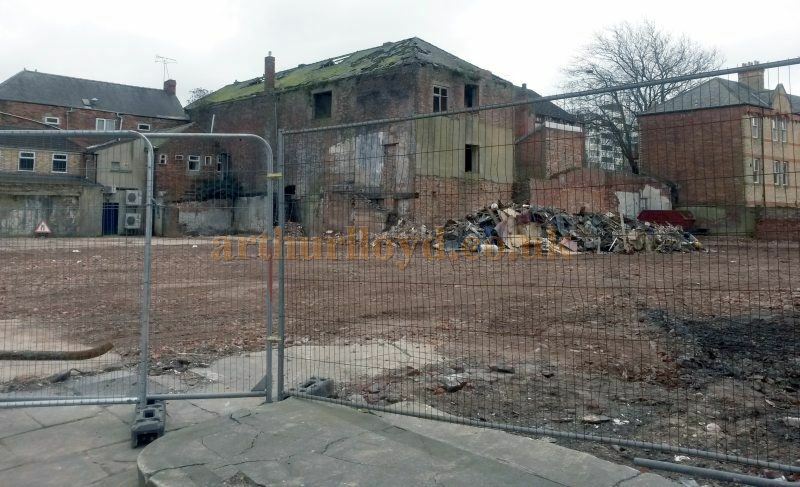 The rest of the building (see images below) was expected to be demolished after the New York Hotel in Anlaby Road (see image below) which it backed onto had been demolished. 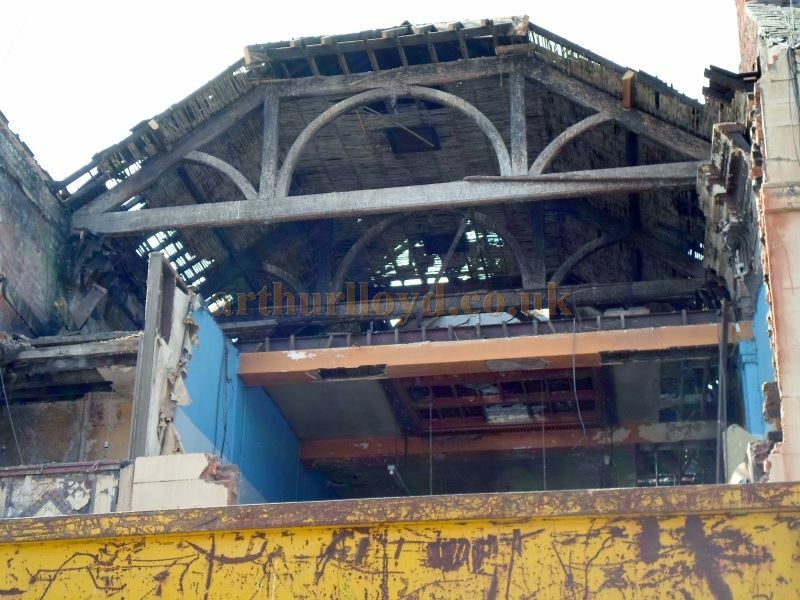 All this demolition work was finally completed in November 2016 and so sadly this ends the history of one of Hull's iconic buildings of entertainment dating right back to 1873. 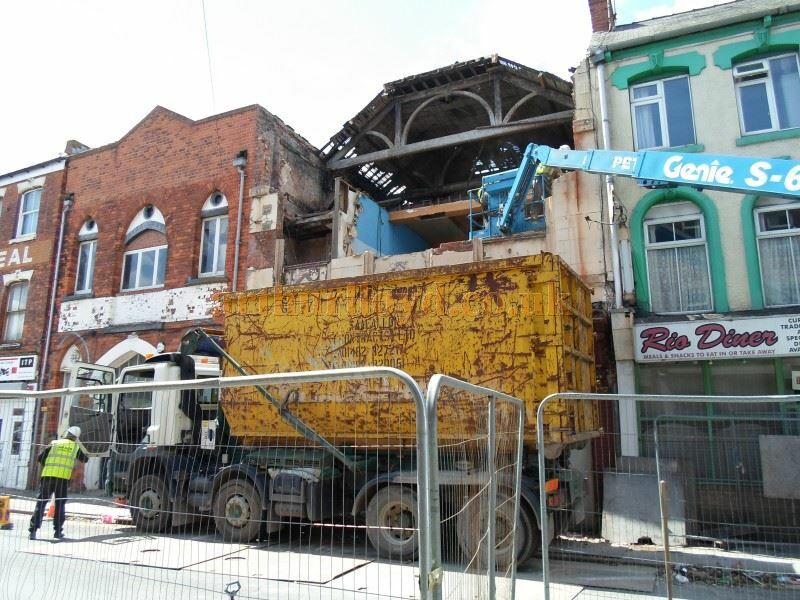 Above - Demolition of the frontage of the former Albert Hall Music Hall, Hull in June 2015 - Courtesy Alex Slingsby. 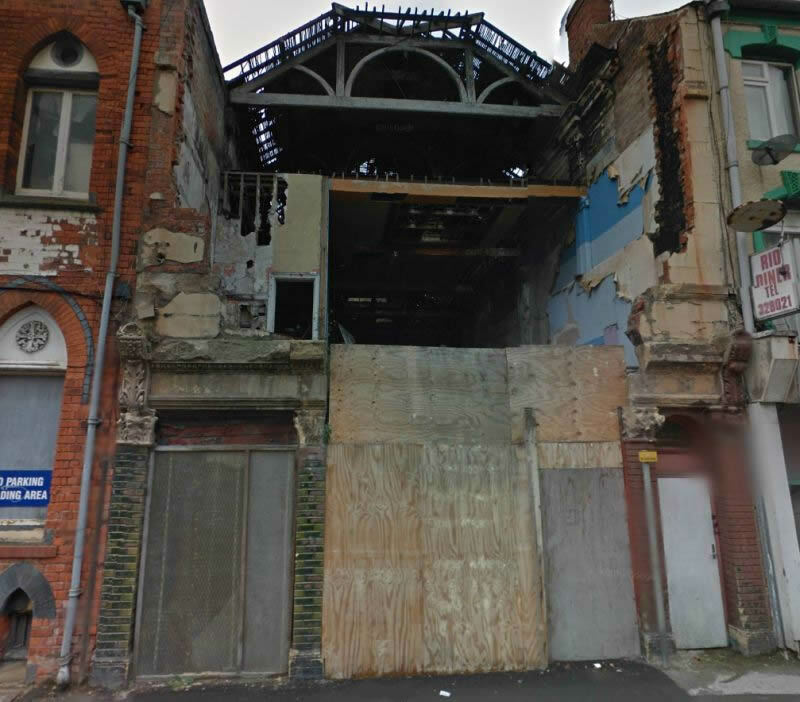 Above - A Google StreetView Image of the former Albert Hall Music Hall, Hull after demolition of its frontage in 2015 - Click to interact. 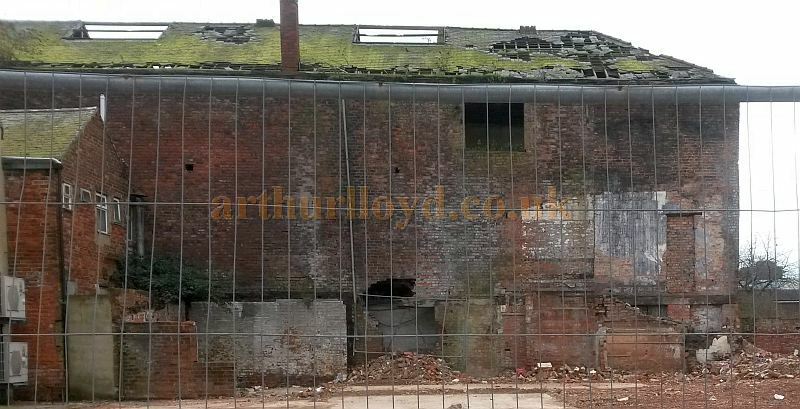 Above - The rear of the former Albert Hall Music Hall, Hull in early 2016 after demolition of the former New York Hotel had been completed, revealing the Music Hall's remains - Courtesy Alex Slingsby. 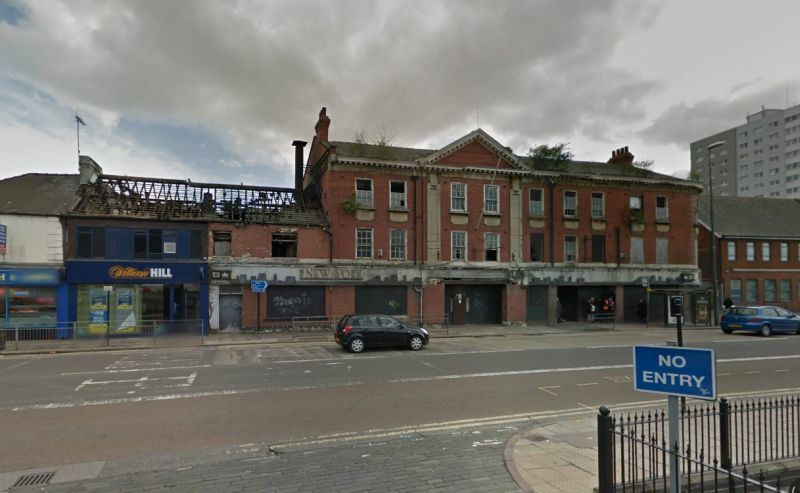 Above - A Google StreetView Image showing the former New York Hotel, now demolished, which used to back onto the Albert Hall Music Hall, Hull - Click to interact.